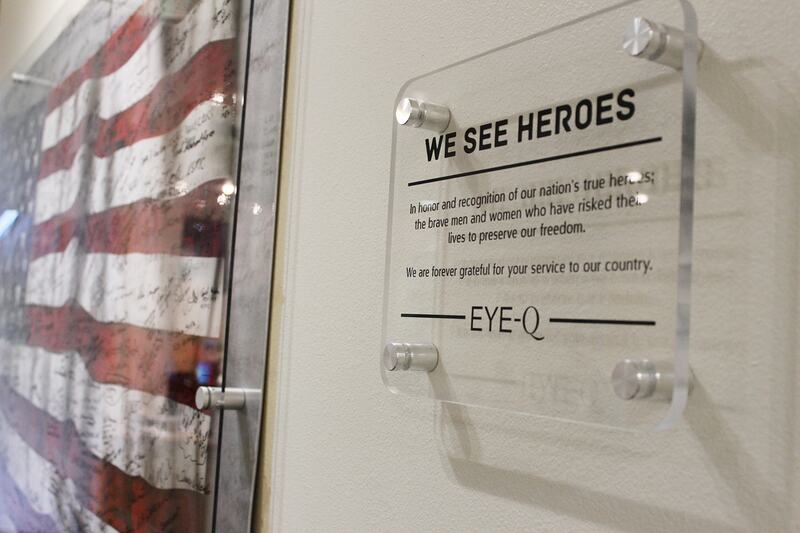 EYE-Q Vision Care has always been a friend to the veteran community, and this Veterans Day was no different. 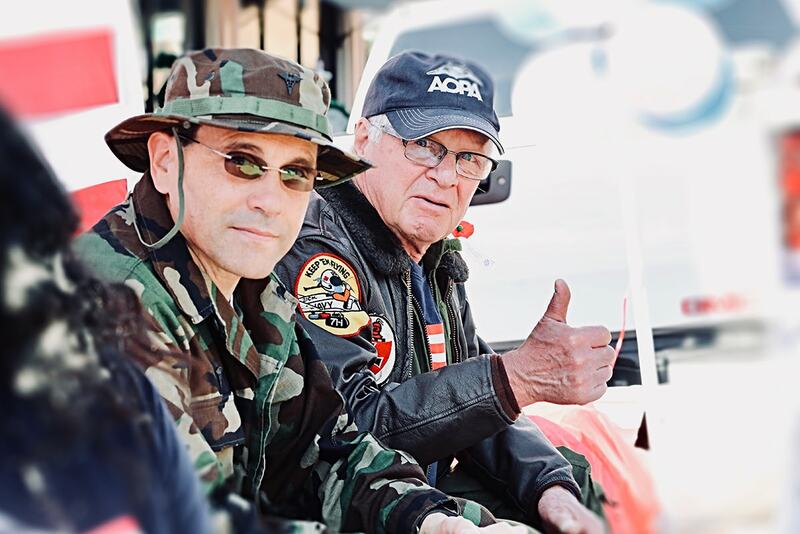 We have a long history of supporting local veterans through vision screening events and involvement in the Central Valley Honor Flight, Fresno Veterans Day Parade, Veterans Stand Down, and much more. This passion stems from our doctors, several of whom are veterans themselves. Dr. Richard Moors served three years as a flight surgeon in the United States Navy early on in his career before receiving his specialty training in ophthalmology. Dr. Brian Cavallaro also served our country in the United States Army before joining the EYE-Q Vision Care team. The practice also recently added two more veterans to our team of ophthalmologists: Dr. Thomas Shute and Dr. Frank M. Bishop, both of whom returned home to the Central Valley to provide quality eye care locally. Dr. Shute served as a flight surgeon in the U.S. Air Force for four years before he went on to complete his ophthalmology residency and fellowship training at Washington University in St. Louis. Dr. Bishop, on the other hand, served in the U.S. Navy for more than 25 years, receiving various appointments and honors, like the Director of Surgical Services at NMCSD and the Specialty Advisor for Ophthalmology by the Surgeon General, United States Navy. 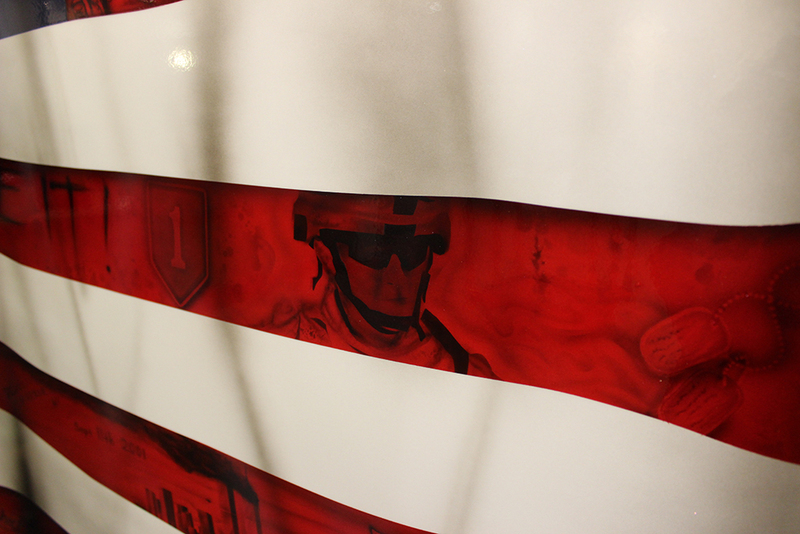 In the past, we have also commissioned local artists, including local veteran Julio Hernandez of Julio’s Pinstriping, to paint large displays of the U.S. flag for each of our lobbies. We invite veterans to sign their names on the plexiglass cover of the flags to honor them and their service to our country. “We are honored to serve those who have so bravely served our country, and we hope to show our thanks to them and their families this Veterans Day,” said Dr. Cavallaro.